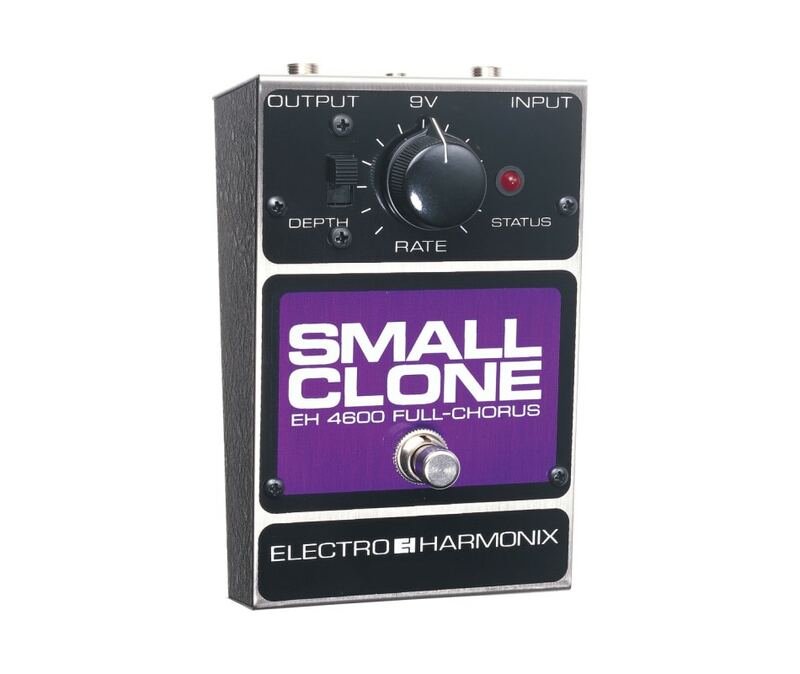 The Electro-Harmonix Small Clone Analog Chorus Pedal delivers luxurious analog chorus effects, a distinctive tone, and flexibility that sets it apart from similar guitar effects pedals. A depth switch and single rate knob make this an easy-to-operate stomp box. Simple tweaks generate exciting doubling effects, chiming 12-string-style sounds or Leslie-like warbles. Its solid nickel steel case replicates the highly collectible original. Operates on a 9V battery or AC adapter.